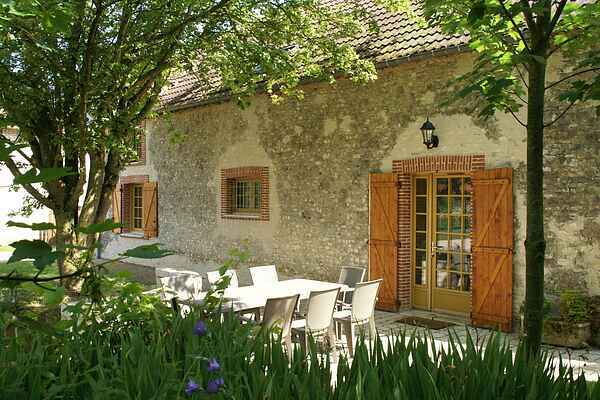 This elegant, detached holiday home near Treilles-Gâtinais has everything you could want for a wonderful holiday. The former farm has been transformed into a lovely holiday home, with two bikes available for you to use. From the terrace with garden set and BBQ, you have a stunning view out across the meadows. The house itself has a lovely interior and a towel dryer located in the bathroom. The Loire region is stunning. You'll find a lovely recreation lake by Cepoy (6 km). It has a beach where you can hire surf boards and canoes. Golf is another option on the lovely 18-hole course at Fontenay-sur-Loing (12 km). For a lovely, relaxed day out, try Montargis (10 km). It's known as the Venice of Gâtinais. Why not check it out. This region has played an important role in French history. Be sure to visit the world famous castle at Fontainebleau (48 km) where, just like the French kings, you can saunter through the stunning gardens. At Bellegarde (25 km), Gien (50 km) and Sully-sur-Loire (48 km) you will find even more lovely castles and gardens.